In World of Tanks, the WZ-111 is a misunderstood and underestimated vehicle, with player sentiment on it heavily divided. Some have a hard time "clicking" with it, while others consider it one of the best overall tier VIII Premium tanks. So what's up with this Chinese heavy tank? Well, it’s actually a rewarding and forgiving tank that encourages you to learn new tactics and improve your overall tanking skills while earning you a small fortune in Credits! And we're here to tell you all about it. Want to try the WZ-111 for free? Check out this great event! The WZ-111 is based on the Chinese version of the Soviet IS-3, and has a "frying pan" turret, pike-nose frontal armor plate and sloped spaced side armor characteristic of other IS-series tanks. 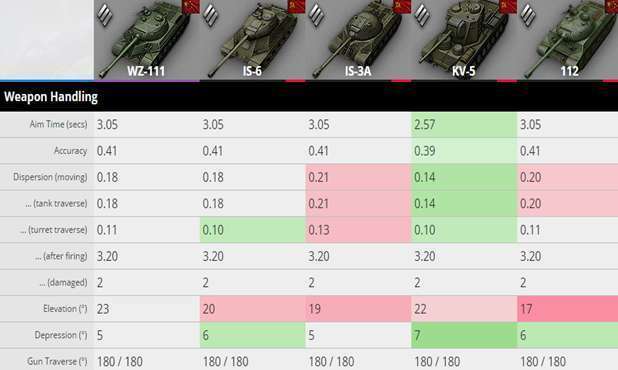 In World of Tanks, your WZ-111 play style should differ from that of other Premium tier VIII heavy tanks such as the IS-6 -- it's got better turret armor, but worse hull protection in specific areas, though it's far quicker and has better terrain resistance than the IS-6. The WZ-111's agility and superior view and radio range allow it to be played as a "mobile heavy tank" that can arrive quickly at key locations, yet still dish out and handle punishment in a brawl. The WZ-111's AP shells are perfect for close-range combat when aimed at enemy weak spots, while its HEAT (High-Explosive Anti-Tank) shells have a terrific 250mm penetration potential and can threaten even the toughest tier IX tanks, while good alpha (single-shot) damage amply compensates for the WZ-111's mediocre accuracy and low rate of fire. It gets even better -- HEAT shells don't lose penetration if they travel a longer distance. Also, the WZ-111 has an immense ammunition capacity of 45 shells -- 50% greater than the IS-6! You'll want to keep the WZ's vulnerable lower glacis plate and -5 degrees of gun depression in mind when you're deciding where to go! Use the environment (rubble, rocks, wrecks) to maximize the protection of your turret armor and the firepower of the vehicle's cannon -- careful positioning to avoid exposing your weak spots is key to success with the WZ-111! With its pike nose, the WZ-111 can successfully brawl "head-on" with enemies, rather than needing to angle its armor. It's also got excellently spaced side armor, meaning it can "side scrape" well, including reverse side scraping (pictured above). The WZ 111 can fulfill several roles on the battlefield -- It's able to reach and hold critical map points early in a battle, before enemy heavies get there, and can "out-spot" and effectively out range them for other allied vehicles. It's also great for supporting less armored allies, and its tactical mobility often allows WZ-111 commanders to land critical first shots on enemy vehicles which can immobilize them or disable their Crews! Mid-battle, it's able to quickly relocate, and effectively hold key areas of the map, and lead flank attacks in unexpected areas. 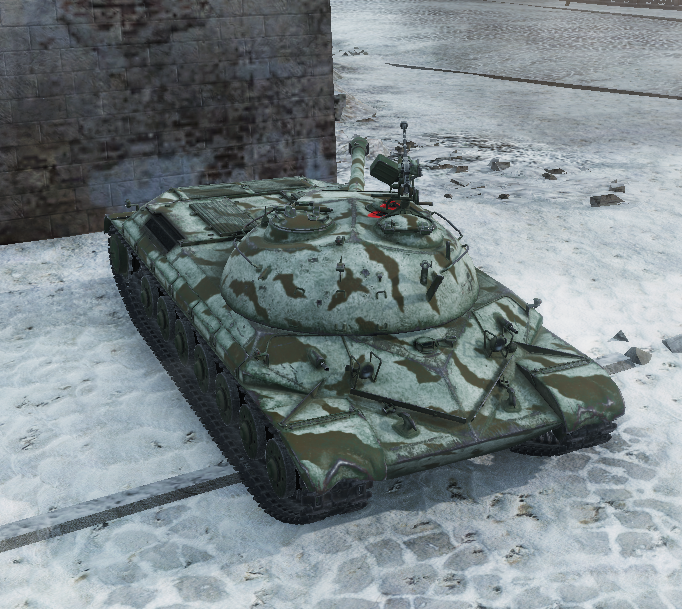 When played to its strengths, the WZ-111 is an excellent contributor in Platoons with other tier VIII premium vehicles such as the IS-6, 112, KV-5, FCM 50t heavy tanks; the 8,8 cm PaK 43 Jagdtiger tank destroyer and the T26E4 Super Pershing and T-34-3 medium tanks. These are only suggestions! Feel free to experiment choose what works best for you. As the tank's engine has a lower chance of catching fire upon impact, and being in a supporting role does not expose you to the heat of the frontline shell slinging, you can use Improved Combat Rations instead of the Fire Extinguisher. You'll improve not only the tank's general performance but also the rate of fire. Keep in mind this is a consumable, meaning it needs to be replenished after each battle. In this case, it's 20,000added to the post-battle cost every time you roll out. For maximum effect on more open maps, consider replacing Improved Ventilation with Coated Optics. You will get the most out of the tank, especially when combined with the "Brothers in Arms" Perk and Improved Combat Rations consumable. Thank You tanks.gg for Your Excellent Statistics! Scorpiany has produced a thourough guide on our forums, and Starshield has an excellent video which offers more great tips!